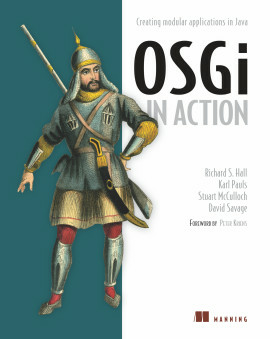 Clear, easy to read, and very thorough. 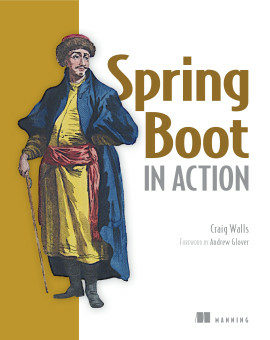 Spring Batch in Action is an in-depth guide to writing batch applications using Spring Batch. 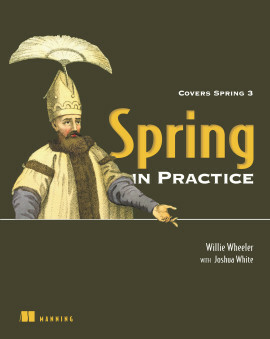 Written for developers who have basic knowledge of Java and the Spring lightweight container, the book provides both a best-practices approach to writing batch jobs and comprehensive coverage of the Spring Batch framework. 1.1. What are batch applications? 8.1. What is a bulletproof job? 11.1. What is enterprise integration? Even though running batch jobs is a common task, there's no standard way to write them. 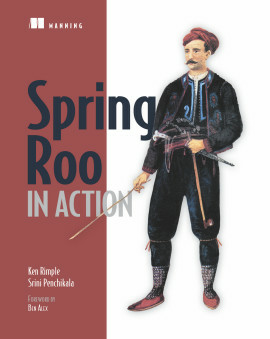 Spring Batch is a framework for writing batch applications in Java. It includes reusable components and a solid runtime environment, so you don't have to start a new project from scratch. And it uses Spring's familiar programming model to simplify configuration and implementation, so it'll be comfortably familiar to most Java developers. 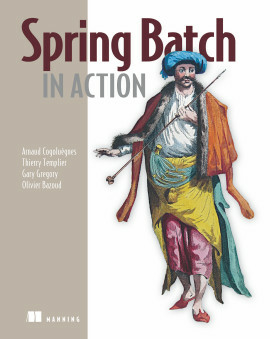 Spring Batch in Action is a thorough, in-depth guide to writing efficient batch applications. Starting with the basics, it discusses the best practices of batch jobs along with details of the Spring Batch framework. 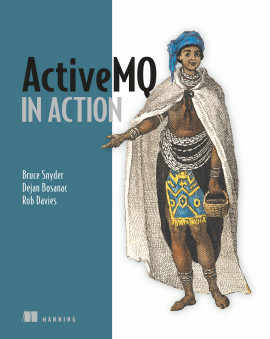 You'll learn by working through dozens of practical, reusable examples in key areas like monitoring, tuning, enterprise integration, and automated testing. No prior batch programming experience is required. 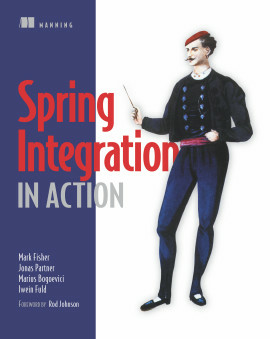 Basic knowledge of Java and Spring is assumed. 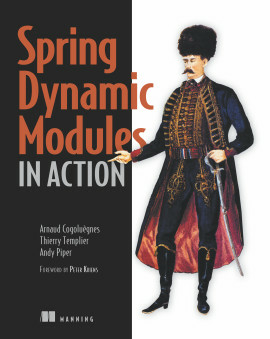 Arnaud Cogoluegnes, Thierry Templier, and Olivier Bazoud are Java EE architects with a focus on Spring. Gary Gregory is a Java developer and software integration specialist. 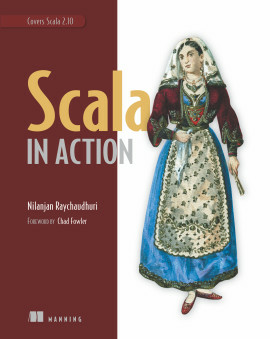 A must-have for enterprise batch programmers. A fresh look at using batch in the enterprise. Flawlessly written, easily readable, powerfully presented.